The volunteer camp at Wimbledon 1873 hand coloured in watercolour. Burlesque, an artistic work intended to cause laughter by caricaturing the manner or spirit of serious works. 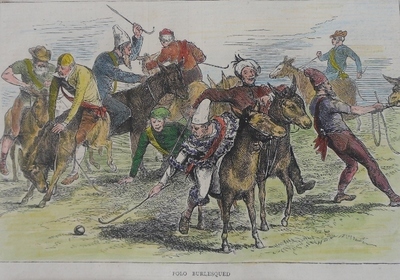 An unusual 19th Century original print. Image size 23cms x 16cms approx. mounted and ready to frame.